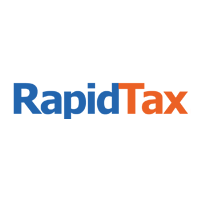 Rapid Filing Services LLC runs a group of e-commerce websites which allow individuals to self-prepare their federal and state income tax returns online. We are a motivated team of tax professionals who aim to provide a complete tax solution for taxpayers seeking to file both current and prior year tax returns. Rapid Filing Services is located in the heart of Manhattan and has been in operation since 2005. The members of our tax support team know the way through the maze of the tax code and match this Herculean feat with a deep grasp of the inner workings of our tax application. As a player in the the team, you’ll be expected to communicate with many customers for whom the book of taxation might as well be written in an Azerbaijani dialect. Your mission: help them make sense of it all, not to mention get them more money back from Uncle Sam. They need you as much as we do. Great online marketers combine creative flair, technical knowledge, and serious analytical chops to both mold a website and bring engaged eyeballs to it. At RapidTax, we’re always on the lookout for motivated, talented individuals who can whip up super useful content and serve it at just the right time, when people most need it. We’re also keen on the brainy ones who practice Ad group bid strategy the way Sun Tzu did military tactics. Send us an email at jobs@rapidtax.com! We'll tell you more about us. We are looking for a computer programmer with 3+ years of experience with a strong technical background in multi-tiered application code. In addition to building systems, our ideal candidate will be able to work seamlessly with our senior developer on complex programs. write, modify, test, and maintain the code, forms, and scripts that enable computers to accomplish specific tasks. develop and create computer programs to store, locate, and retrieve specific documents, data, and information. manage the interchange of data between application and browser. work from the specifications drafted by software developers and engineers, and be prepared to transform and enhance a developer’s program design using the appropriate computer language. use or build computer-assisted software engineering tools to automate and simplify when necessary the writing of the codes employed by the software engineers and be asked to reference code libraries in doing so. create and implement database schemas that represent and support business processes. consult with managerial, engineering, and technical personnel to clarify web program intent, identify issues, and suggest actionable solutions. Experience with database objects such as Stored Procedures,Views, Functions and Tables.